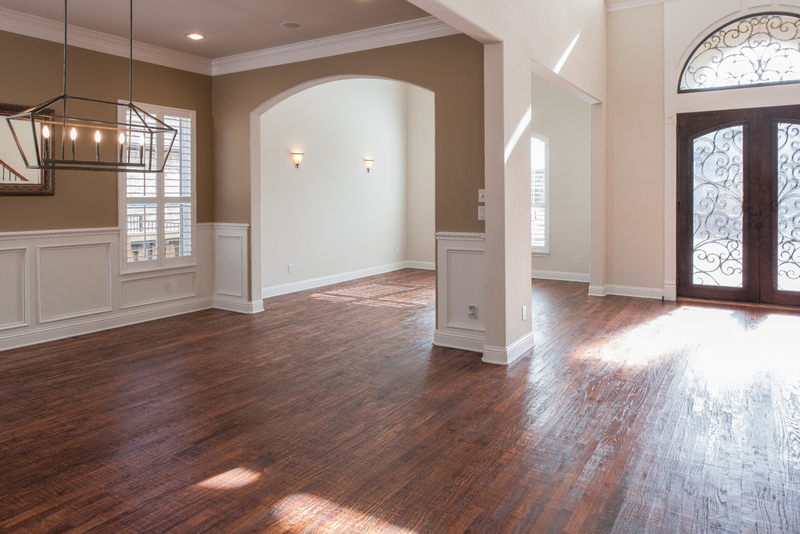 This gorgeous Mediterranean-style home is positioned on an expansive lot on a quiet low traffic street in the prestigious community of Saddleridge in Allen, Texas. 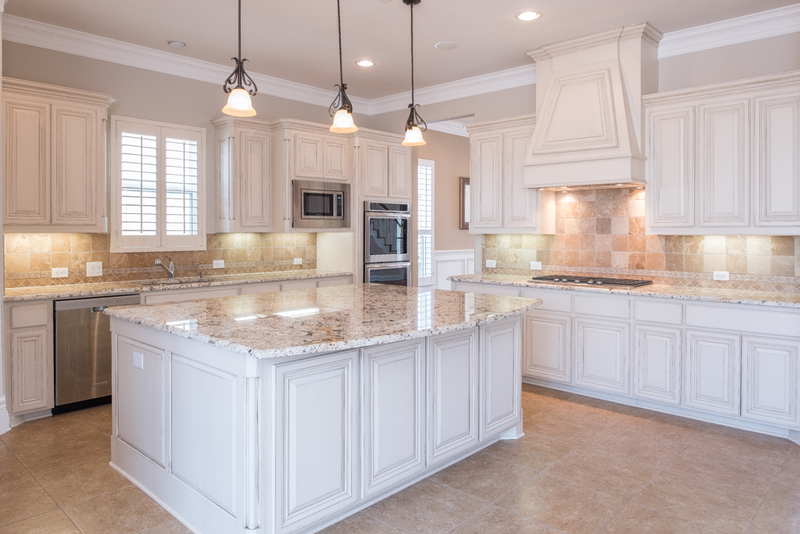 This elegant home is highlighted by distinctive tile roof with hand painted trim and is surrounded by professionally planned and executed landscape beds overflowing with thick foliage and plants. 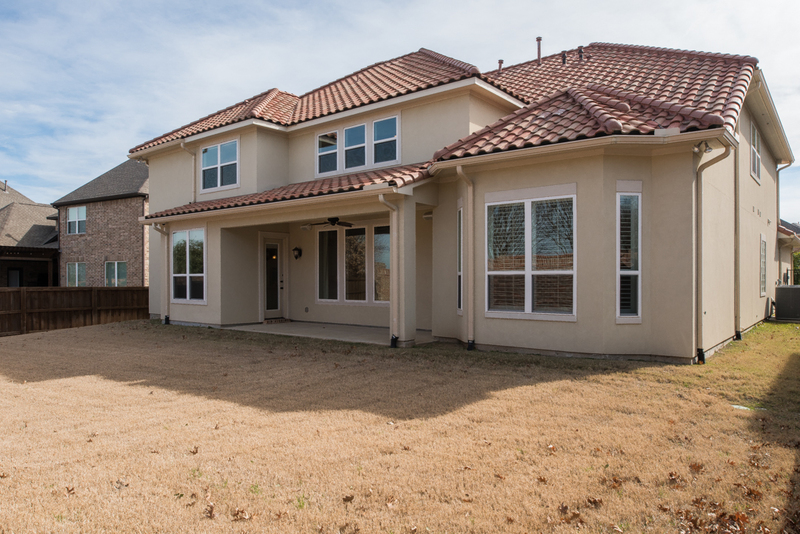 The wide aggregated driveway extends to the 3-car Garage and the welcoming front entrance. 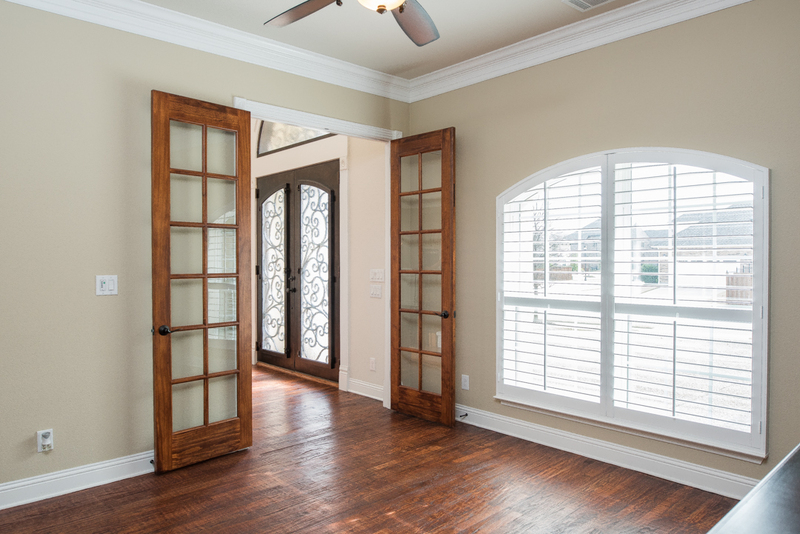 The inviting Foyer features a custom iron and glass double front door with coordinating transom that floods the space with natural light. 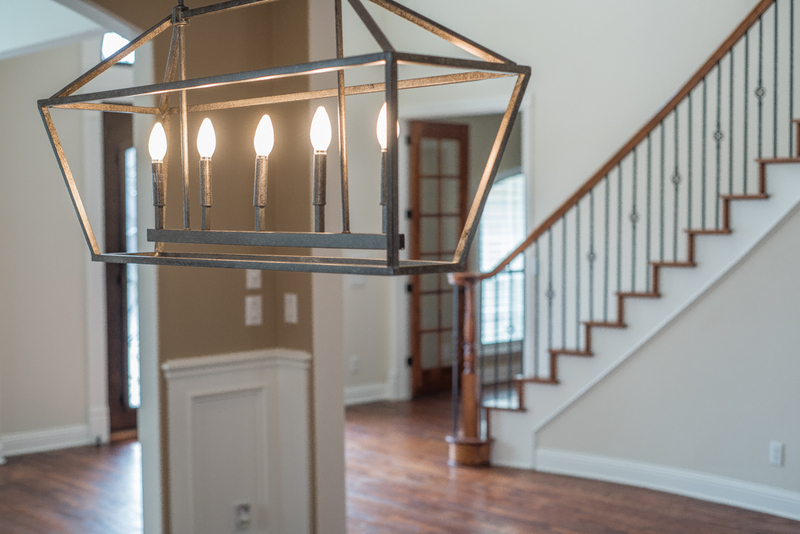 Gleaming roughhewn hardwood floors and a stylish chandelier suspended from the soaring ceiling highlight the space. 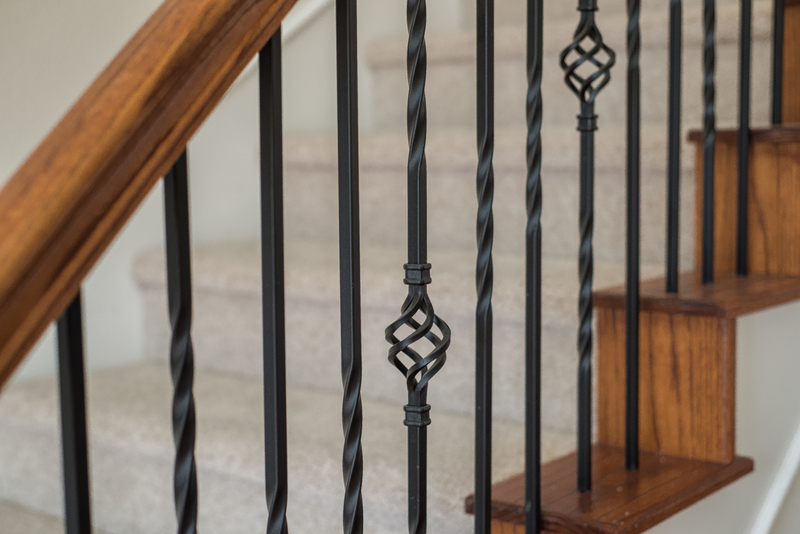 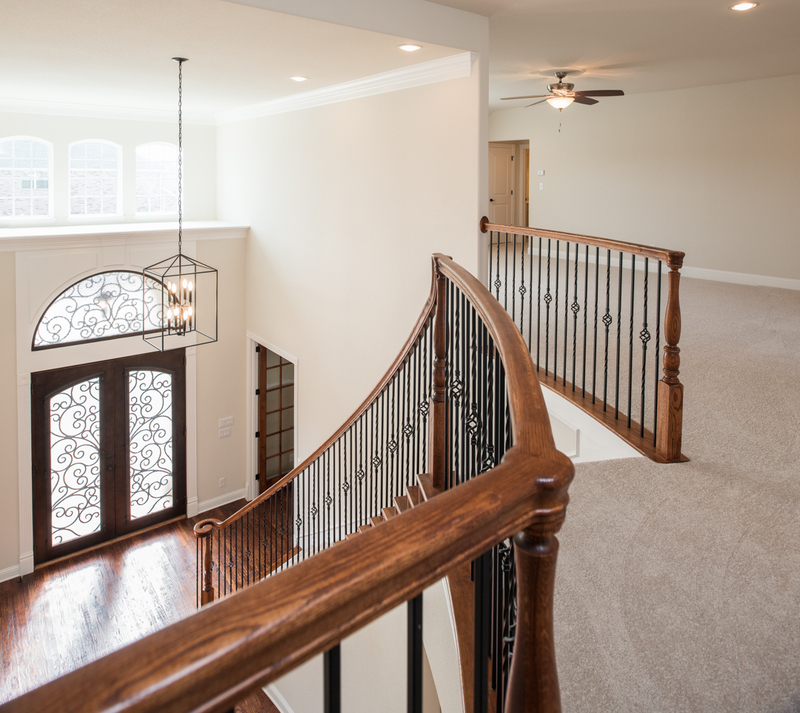 An elegant curved Staircase outlines the Foyer boasting custom millwork posts and handrails with wrought iron spindles. 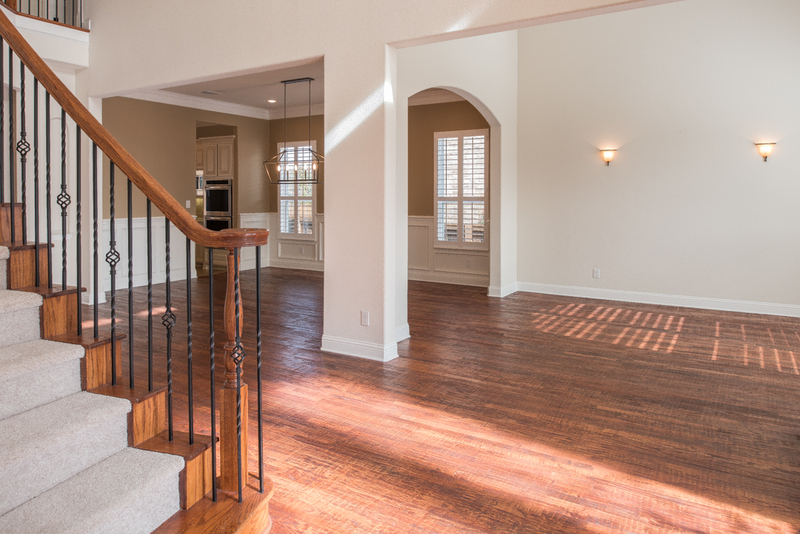 The open and airy Formal Living Room has roughhewn hand-scraped hardwood floors, thick trim and moldings as well as large shuttered windows that brighten the space and overlook the front yard. 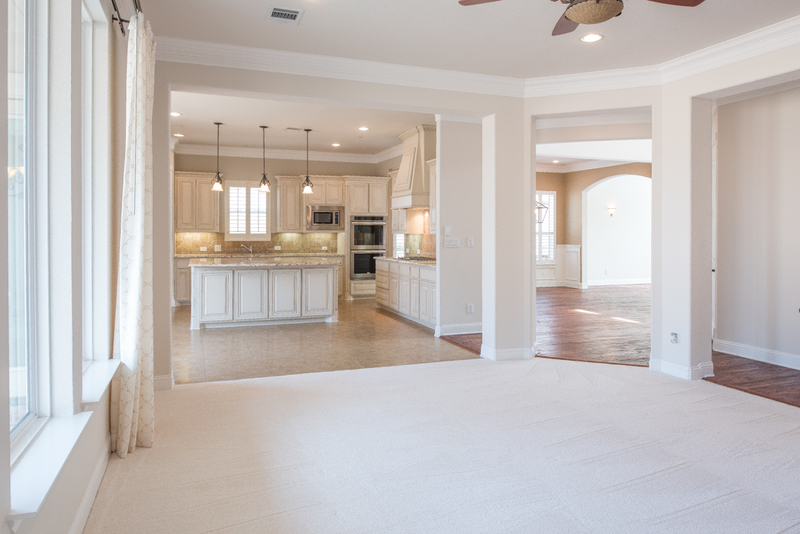 The connecting Formal Dining Room also adjoins the Kitchen and offers roughhewn hardwood floors, thick trim and moldings, and a stylish chandelier. 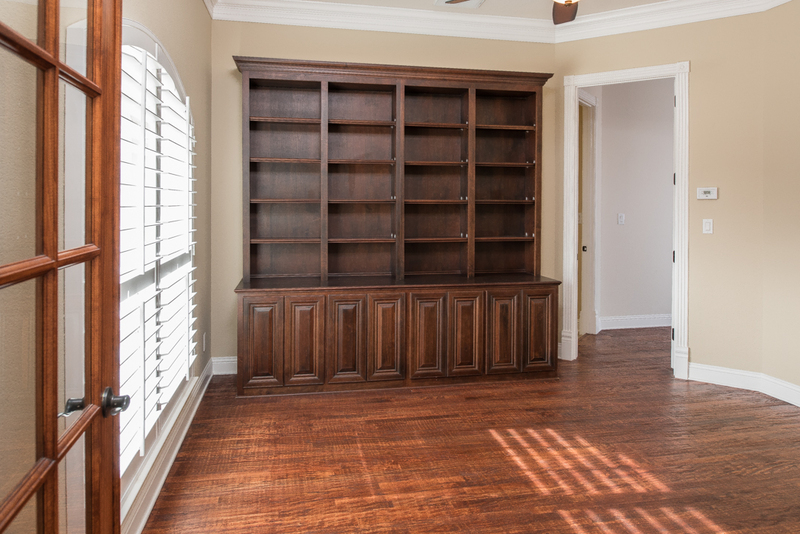 The private Study features stained hardwood French doors, roughhewn hardwood floors, on-trend wall paint with trim, along with a large shuttered window offering views of the front yard. 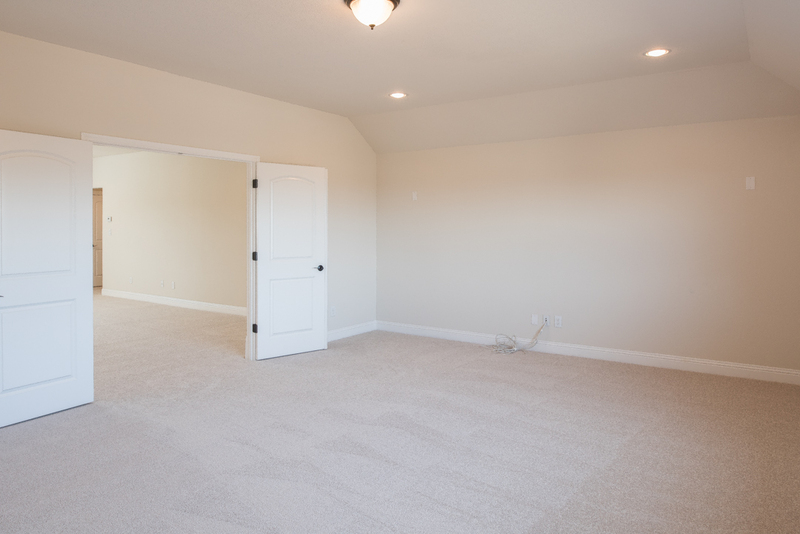 The room also features a large closet and a second entrance next to a full bath making it an additional bedroom option. 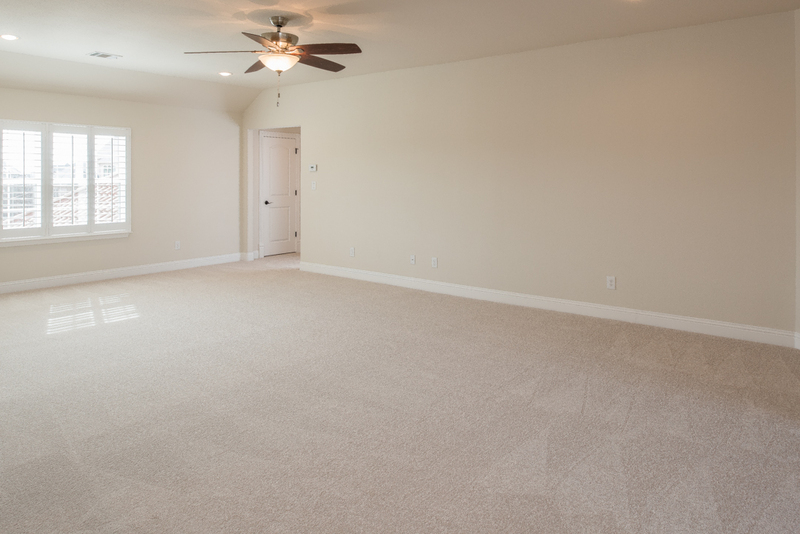 The Great Room is connected to the Kitchen and Breakfast Nook and features premium carpet and decorator paint highlights the walls. 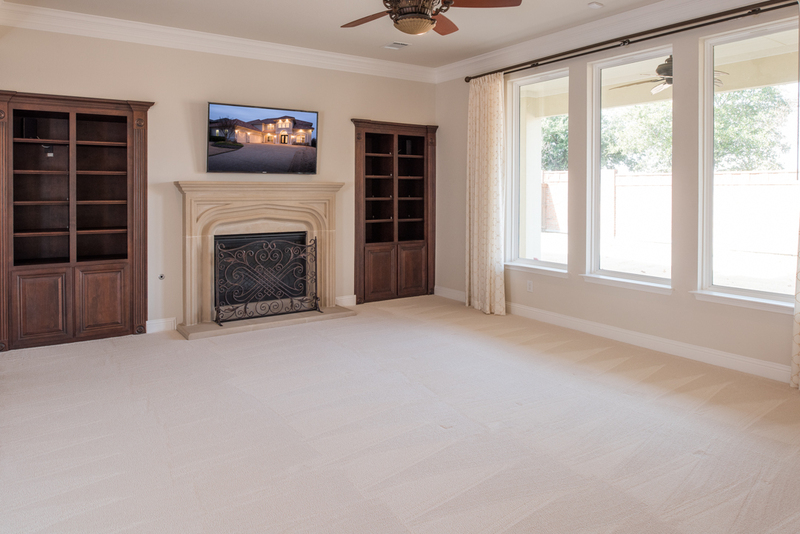 A cozy stone fireplace framed with an impressive cast stone mantel is flanked by stained hardwood built-ins and a wall of windows provide views over the patio. 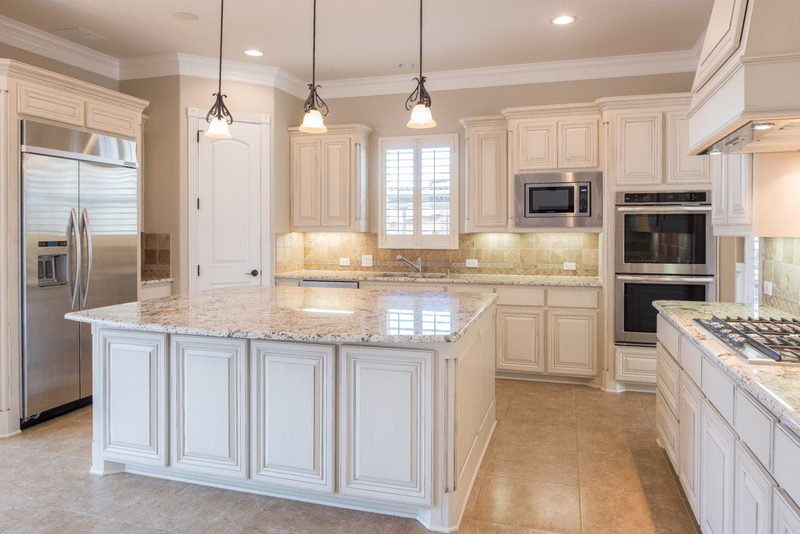 The gourmet Kitchen is a cook’s dream with premium custom cabinetry, granite counter tops, and tumbled tile backsplash. 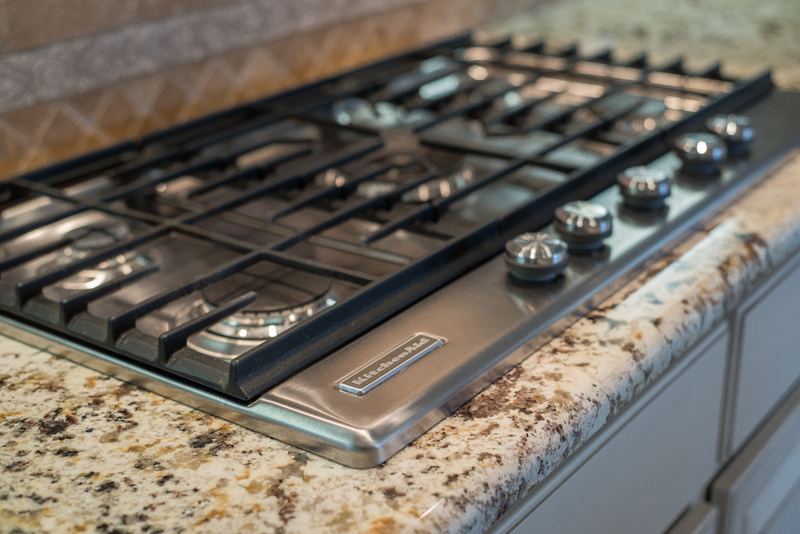 The space has a premium stainless gas cook top with a coordinating cabinetry hood, built-in refrigerator & freezer, and top-quality stainless appliances. 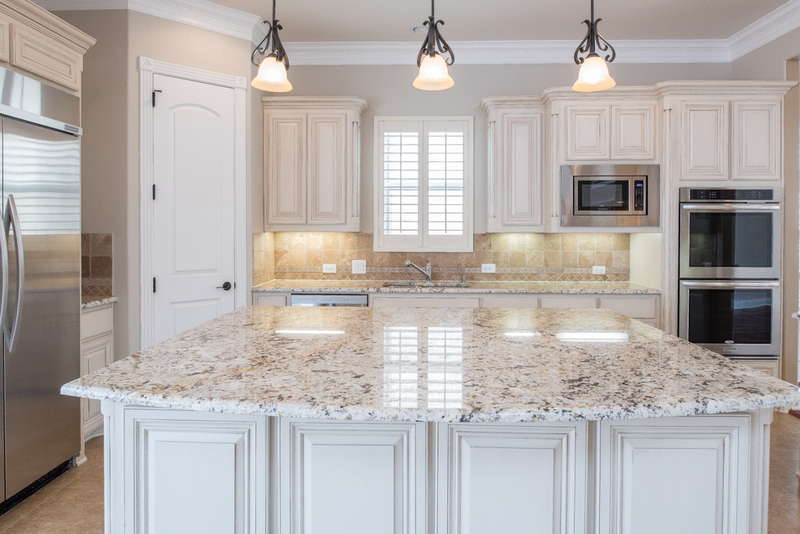 The Kitchen also has an oversized sit-at island with updated pendant lighting above and ample storage below. 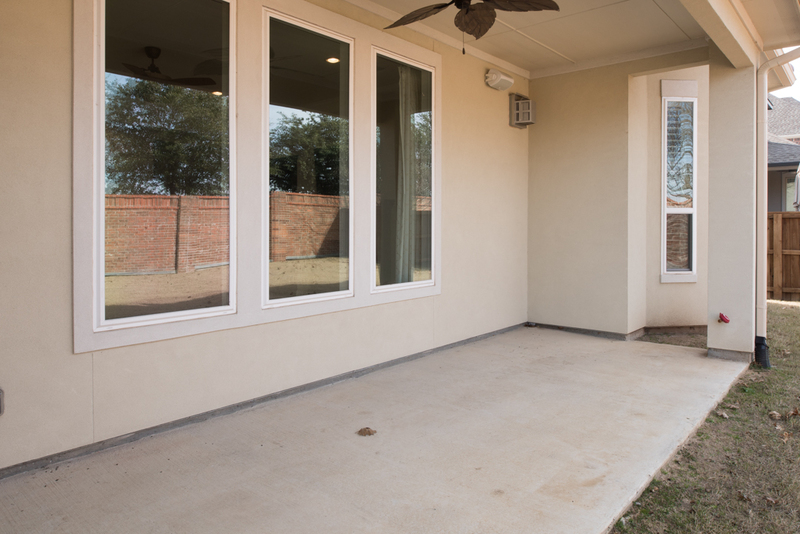 The adjoining Breakfast Nook offers a large window and a door that have views and access to the Covered Patio and backyard. 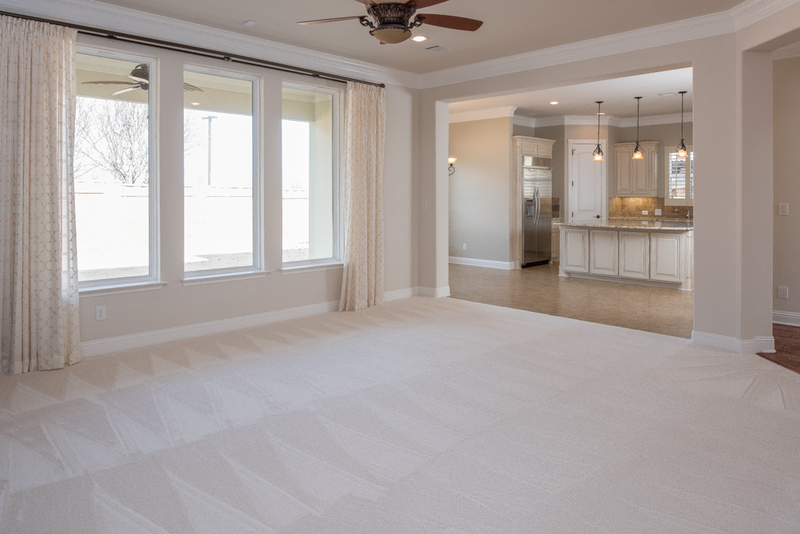 The private, main floor Master Suite features premium carpet and a tray ceiling element highlighted by trim and moldings. 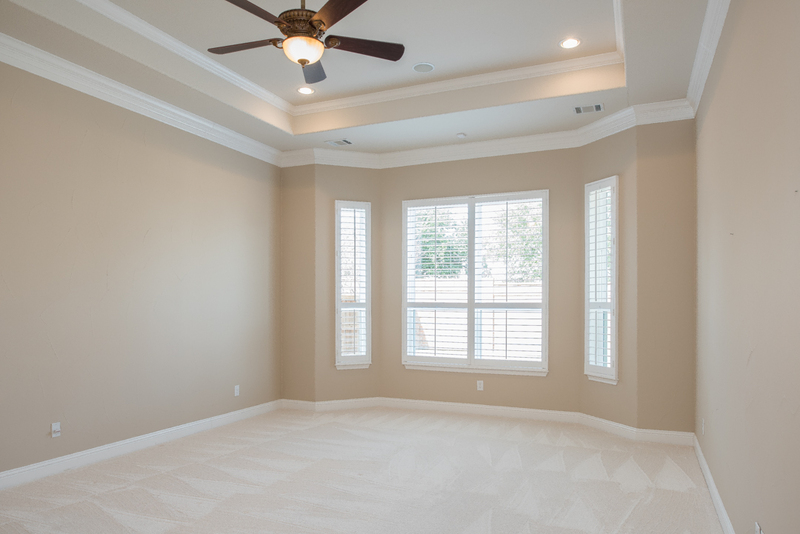 A windowed sitting area has panoramic views of the backyard. 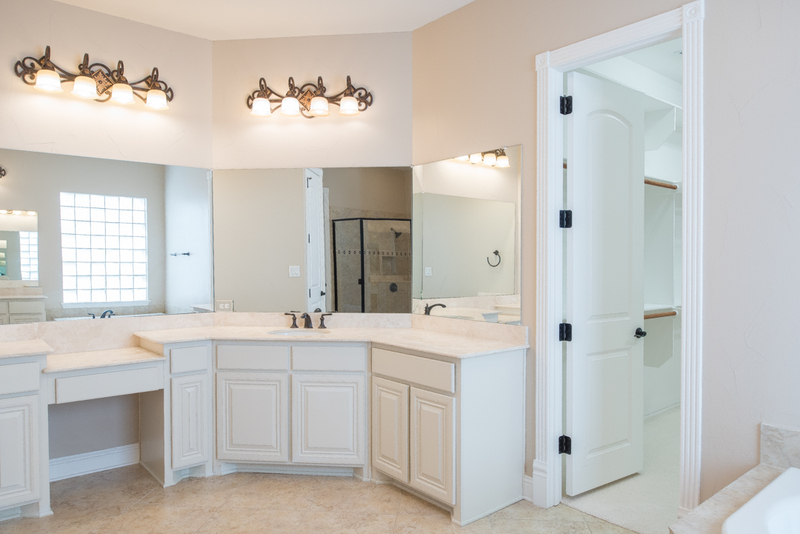 The en suite Master Bathroom is fully outfitted with premium tile floor and custom wall paint. 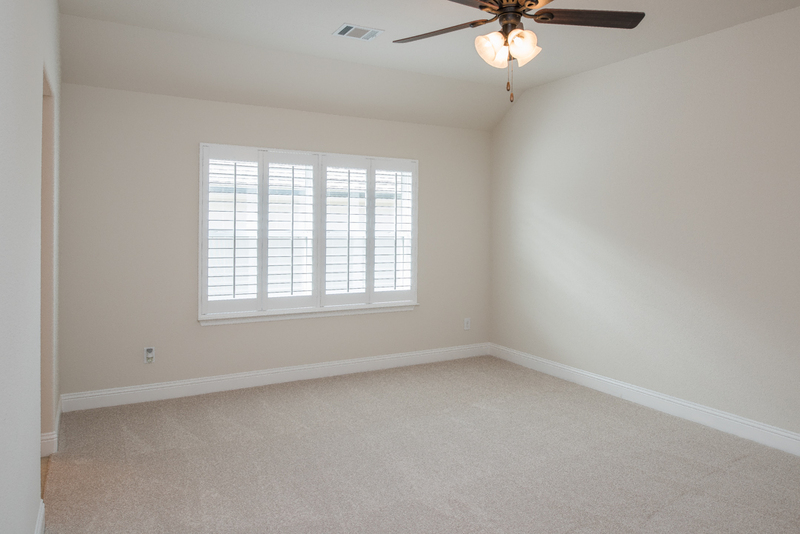 The separate vanities have solid surfaces and decorator plumbing fixtures, large mirrors and additional up-graded lighting fixtures. 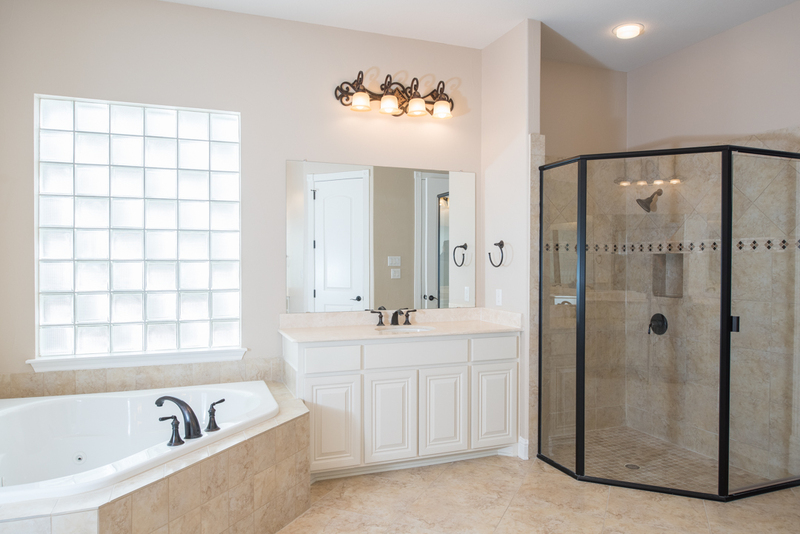 The large walk-in shower has premium tile-work and fixtures, and the deep tub is positioned under a large glass-block window. 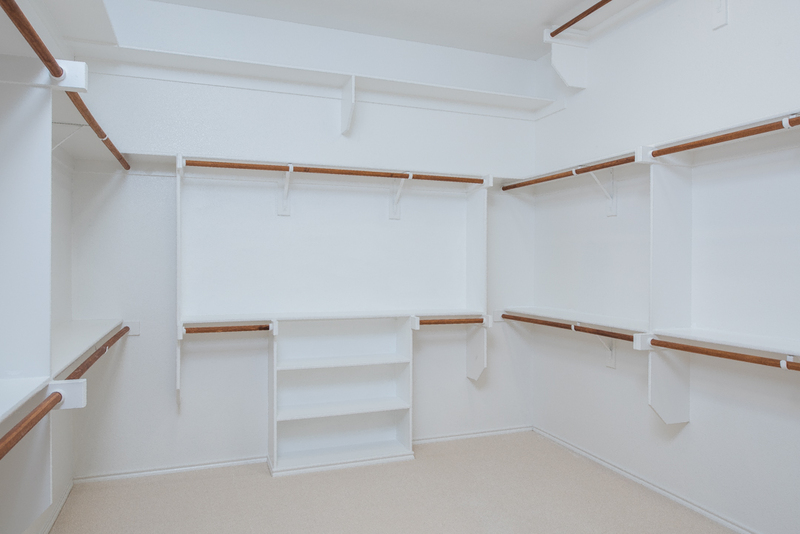 The Master closet has built-in hanging wardrobe organization and storage. 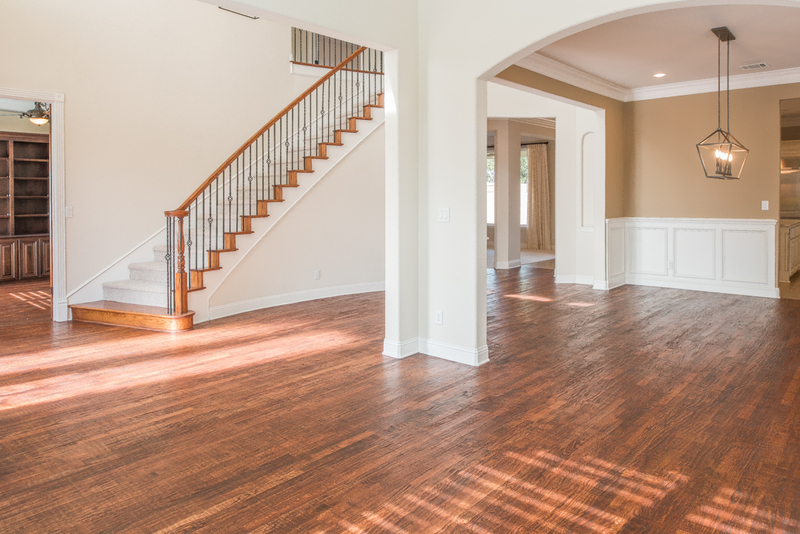 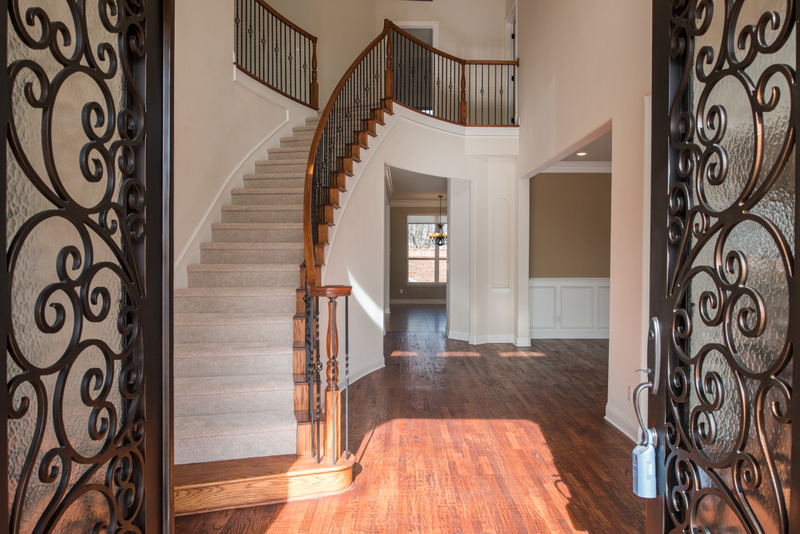 The custom, hand-crafted main Staircase leads up to the second floor Gameroom with connecting Living Area or Home Theatre, along with access to the Junior Bedrooms. 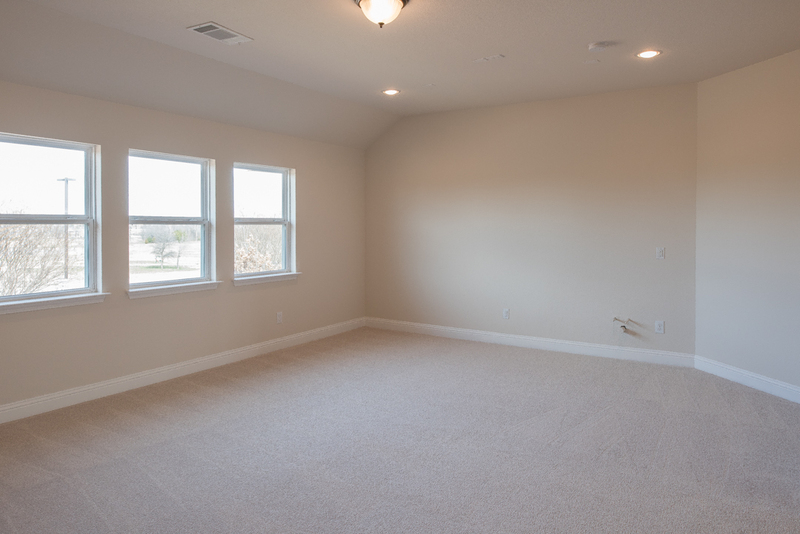 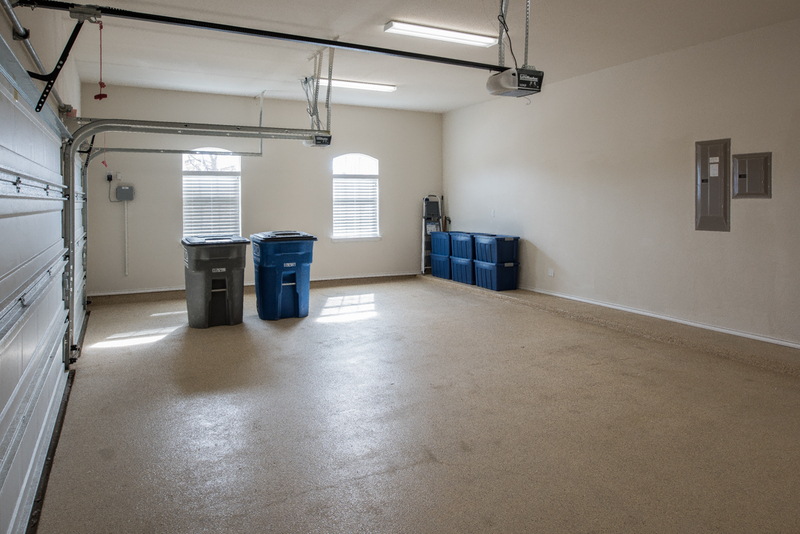 The oversized Gameroom has high-grade neutral carpet and a wall of windows that overlook the backyard below. 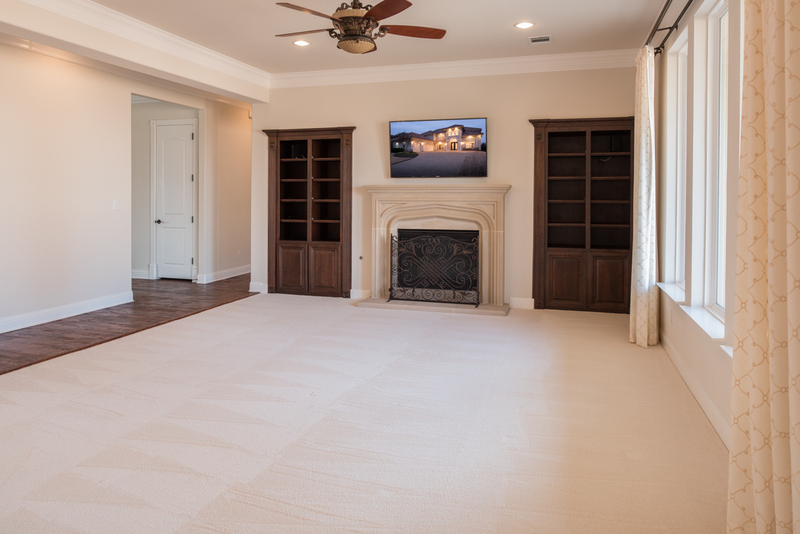 The adjoining Living Area with double doors can be easily converted to a Home Theater. 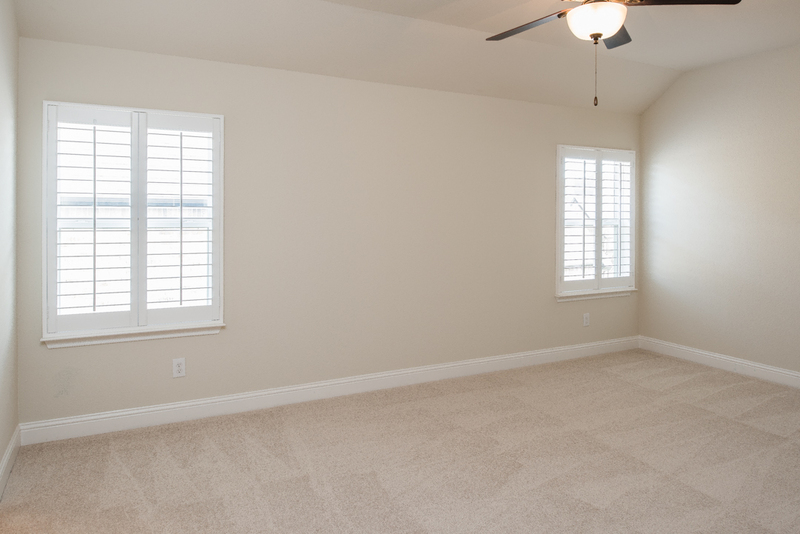 All the Junior Bedrooms have premium carpeting, decorator wall paint, and large walk-in closets, and are adjacent or connect to a full bathroom. 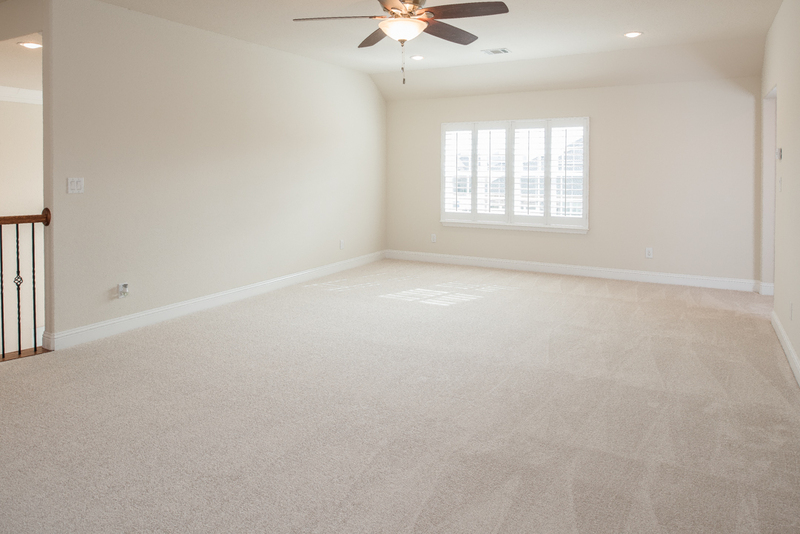 The spacious backyard features a large covered patio that overlooks the expansive lawn. 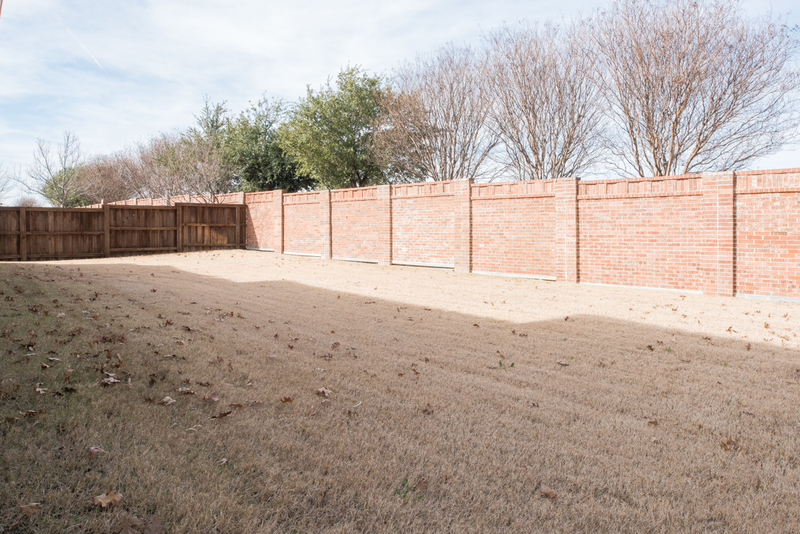 The gently sloping yard is encircled by a brick rear fence with side stained privacy fencing. 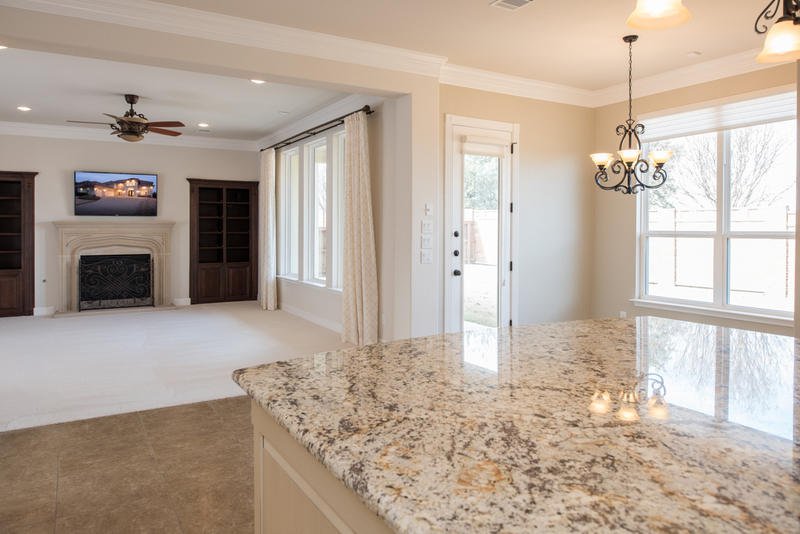 This home is convenient to the community park with private lake and amazing pool center. 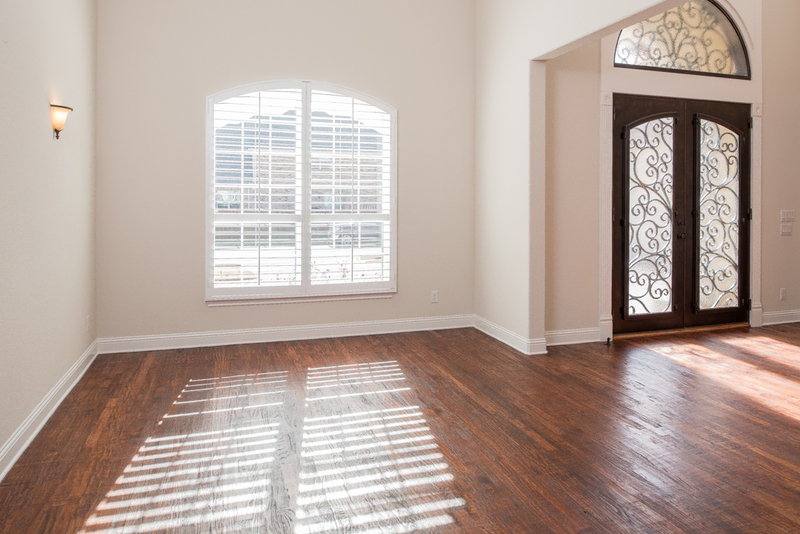 Just minutes to 121 Tollway, Hwy 75, Allen Outlet Mall, Fairview Town Centre, restaurants and entertainment.